Corn’s-A-Poppin’ (1955) is a work of independent cinema produced by a cross-section of entrepreneurs and artists working at the Midwestern margins of the film industry. The Corn’s-A-Poppin’ contributors remain obscure, except for one: 29-year-old screenwriter Robert Altman, who went on to a maverick directorial career that spanned more than five decades. Although the film’s free-wheeling spirit and communal scope anticipate the hallmarks of Altman’s most celebrated work (Nashville, The Player, Gosford Park), they also encapsulate the peculiar mode of production that yielded Corn’s-A-Poppin’. 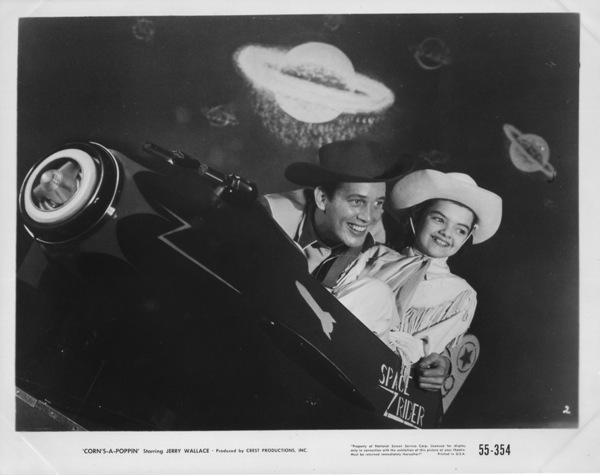 Independently produced and financed by exhibitor Elmer C. Rhoden, Jr., of the Commonwealth Theatres chain, Corn’s-A-Poppin’ was made in a television studio in Kansas City, Missouri by a crew of young filmmakers affiliated with The Calvin Company, the Midwest’s premier sponsored film studio. A rare instance of industrial film personnel applying their straight-forward craft to feature filmmaking, Corn’s-A-Poppin’ features work from several Calvin regulars, including actors Keith Painton and James Lantz, director Robert Woodburn, and writer Robert Altman. Woodburn had lately worked as a station manager for Chicago’s WBKB and Altman had recently completed a disappointing sojourn as a Hollywood screenwriter. Corn’s-A-Poppin’ also serves as an unofficial tribute to Charles T. Manley, the Kansas Citian who first marketed the electrical popper and built a concessions empire. The Manley legacy cast a long shadow, with the Manley Popcorn office dominating Film Row, the Kansas City block occupied by the local film exchange and other businesses catering to the everyday needs of theatrical exhibitors. With input from Manley’s son and support from The Popcorn Institute, a regional trade group, Corn’s-A-Poppin’ conveys an infectious civic pride in a neglected local industry that quietly supported Hollywood glamour in theaters nationwide. Although it earned pre-production plaudits from the trade journal Boxoffice as a pioneering effort in regional, independent filmmaking, Corn’s-A-Poppin’ did not inspire imitators. 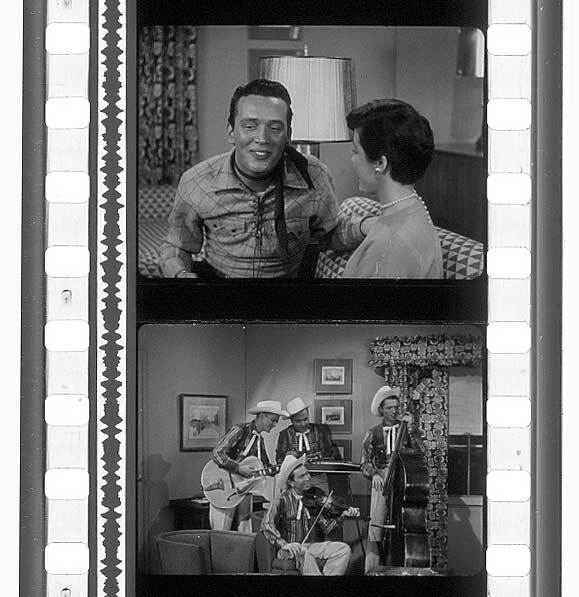 Marketed as a family-friendly musical comedy with a decidedly local flavor, Corn’s-A-Poppin’ received an extremely limited theatrical release, primarily playing at the bottom half of double bills at small town drive-ins and occasionally accompanying live country-western stage acts. Forgotten or disowned by many of the personnel involved in its production, Corn’s-A-Poppin’ is an orphan film that serves an uncommon and entertaining reminder that the film industry encompassed entrepreneurs and tradesmen far beyond Hollywood. It is also a vital early chapter in the career of one of America’s major filmmakers, reestablishing Altman as a distinctly regional voice. The preservation of Corn’s-A-Poppin’ was funded by a grant from the National Film Preservation Foundation in 2013. 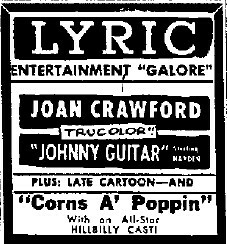 Like many independent and regional films, all pre-print elements for Corn’s-A-Poppin’ were considered lost. Corn’s-A-Poppin’ was preserved from two 35mm composite release prints, which both date from the film’s original release. The primary source was a print from the CFS collection, which was supplemented by a print from the Wisconsin Center for Film and Theater Research. Although neither copy was complete, their gaps complemented one another and allowed CFS to map out a complete version of the original film. FotoKem produced a new 35mm wetgate duplicate picture negative, assembled from the CFS and WCFTR prints. A new 35mm optical soundtrack was also produced. From these new preservation elements, FotoKem also struck two new 35mm prints. The restored version of Corn’s-A-Poppin’ premiered on 4 May 2014 at UCLA Film & Television Archive. Special thanks to: Kian Bergstrom, James Bond, Evan Chung, Maxine Ducey, John Kostka, and Kim Young.